This is a small beach, usually noisy with lots of crowds due to the beach bar. 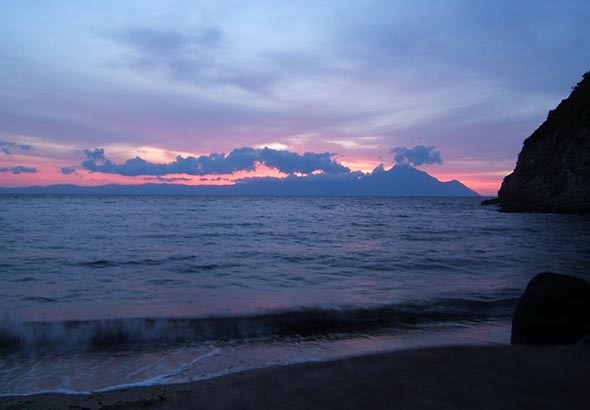 On the other hand, it is very popular among young people who come there to take part in famous beach parties. 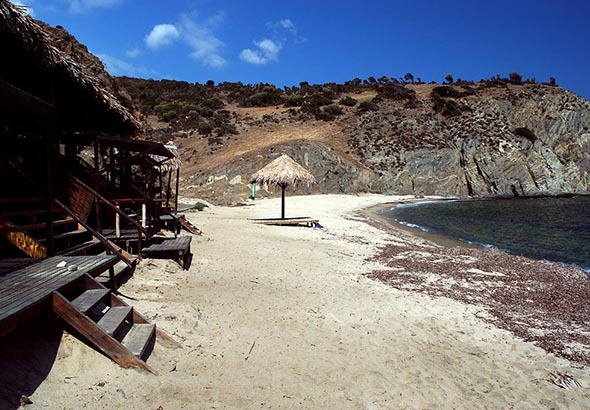 Part of the beach, around half of it, is free for visitors, the other half is occupied by the beach bar umbrellas. Access to the beach is via a dirt road. 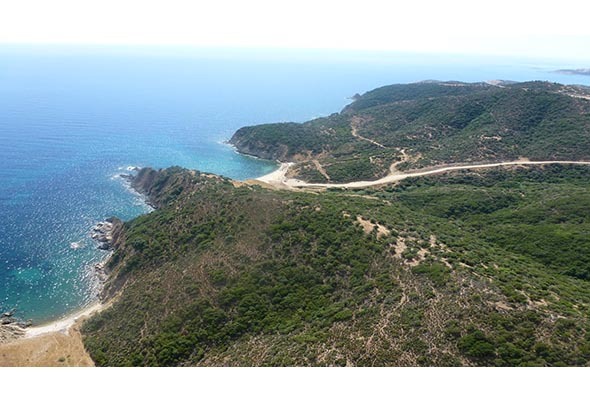 There is a sign on the main road south of Sarti, so it is easy to get there. It’s a brand new hotel located in Sarti, one of the most famous locations of Chalkidiki, Sithonia. 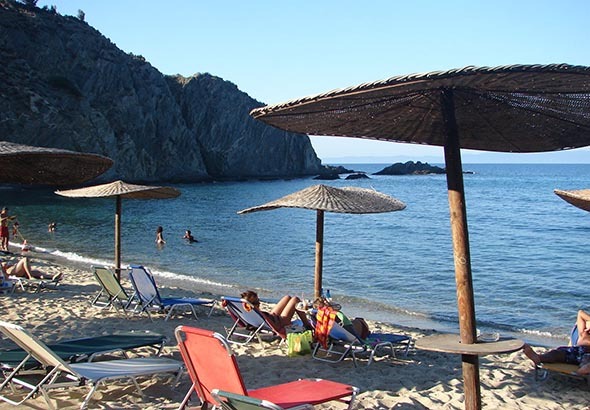 Situated in front of the famous sandy beach of Sarti village and based on minimal architectural style, Thalassa offers an excellent range of facilities in a friendly and casual atmosphere. 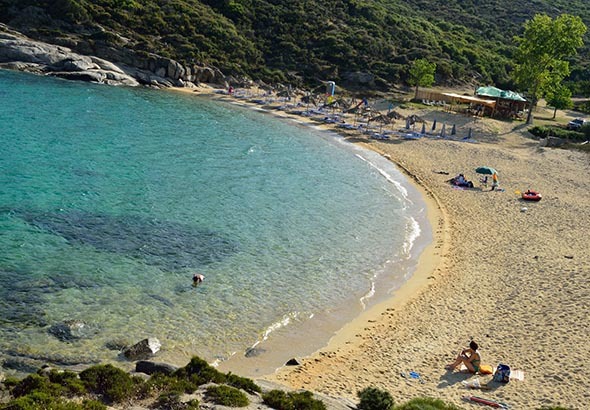 Sarti in Sithonia peninsula in Chalkidiki is an ideal place to be yourself, relax and enjoy wonderful holidays. 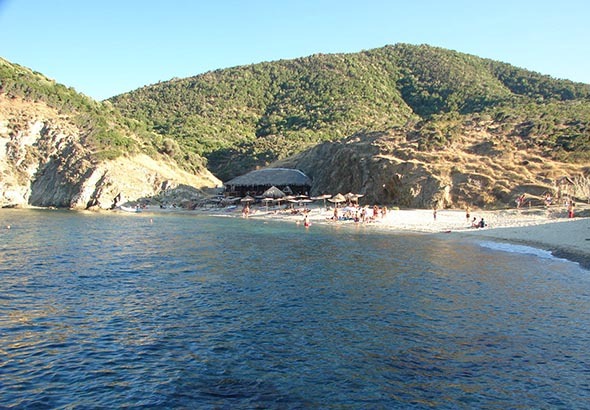 Hotel “Agni” on Sarti beach may offer you accommodation for such a kind of vacation. It consists of furnished apartments and studios specially designed to offer you a relaxing and comfortable stay. Hotel Asteras (Star) is located 130 km from Thessaloniki and is a jewel in the heart of Sarti in Sithonia, Halkidiki. The sea is just 100 meters away and all rooms have sea views. There are 16 spacious rooms that comfortably accommodate up to four people. Additionally there are two apartments which are ideal for families.